Welcome to the 122nd Canton Fair. We sincerely invite you to visit our Booth#11.3L46 during Oct. 15th-19th 2017. 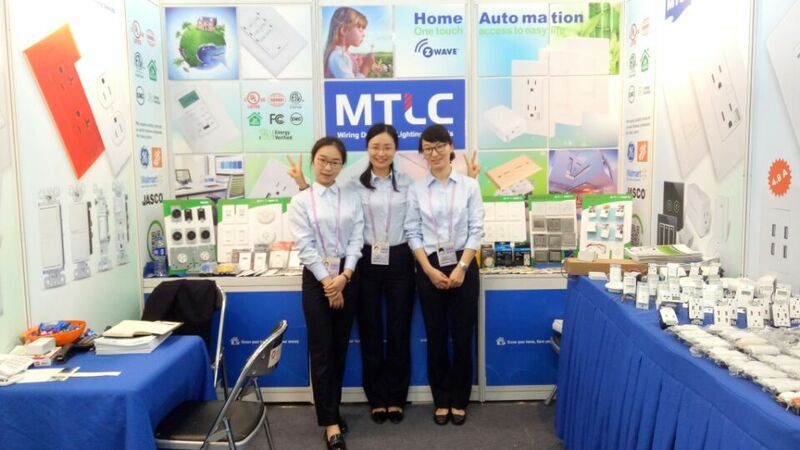 We are a factory specialized in lighting controls and electrical wiring devices, such as: receptacles, switches, motion sensors, timers, etc.. Our main market is North America, and we are doing OEM for GE, THD, etc. Almost all of our products are UL approved! As highly emphasize in good quality, innovation and best service, we've being enjoying a good reputation and a stable growth all through the past 14 years. If you have enquiry, welcome you send us for quotation at any time. Pls. kindly advise us the date in advance, if you will come. Looking forward to meeting you at the exhibition.